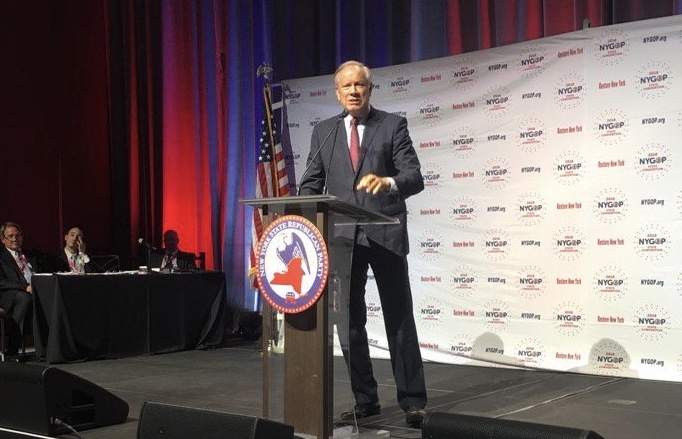 Republicans have not occupied a statewide office since George Pataki left the governor’s mansion at the end of 2006, and barring a massive upset in November, the statewide offices will continue to be occupied by Democrats from 2019 through 2022. Meanwhile, the state Senate, New York’s lone longstanding bastion of Republican power, appears increasingly likely to be captured by the Democrats this year, producing the first unified state government since 2009. Republicans currently hold a slim one-seat majority in the Senate and Democrats believe they could flip a half-dozen or more seats in what is broadly expected to be a wave year as the party responds to election of Donald Trump and subsequent policies out of Washington, D.C. Meanwhile, GOP gubernatorial nominee Marc Molinaro, currently the Dutchess county executive and a talented politician with a moderate message, is not only behind the Trump eight ball, but severely underfunded and not well-known as he tries to topple a second-generation governor seeking a third term. “The state has moved farther to the left, and the idea that somehow people are actually saying that Marc could pull an upset, I don’t know what world they’re living in,” said Tom Doherty, a former top aide to Pataki and currently a political consultant, during a recent interview on the Max & Murphy radio show on WBAI. Trying to unseat Governor Andrew Cuomo, Molinaro has staked out a Pataki-esque Republican platform, criticizing high property taxes, increasing state spending, mismanagement of key state functions, runaway labor giveaways, and Albany’s culture of corruption. Still, the most recent poll from Quinnipiac gave Cuomo a 23-point advantage over Molinaro in the general election. Doherty, who has been active in Republican state politics for decades and has seen ups-and-downs in the GOP’s fortunes in New York, characterized this poor showing, coupled with the apparently imminent loss in the Senate, as not a failure on the part of Molinaro, but on the existing leadership in the state party. In Doherty’s eyes, leadership, particularly State Chair Ed Cox, has not provided the right vision and execution in the post-Pataki years. The manifold problems plaguing the state GOP, according to Doherty and others, include a hard rightward lurch in a heavily Democratic state, a failure to build effective organizations all across the state with geographically applicable messaging and priorities that run good candidates for everything, and, of course, Donald Trump atop a party wherein most of the leadership has embraced the president despite his being deeply unpopular in New York. Cuomo has labeled Molinaro, who has said he didn’t vote for Trump and has criticized some of his immigration and tax policies, a “Trump mini-me.” Though it is not a fair characterization, it is likely effective with much of the New York electorate. While much of the New York GOP, including Cox and even county leaders in extremely-deep-blue New York City, has embraced Trump, the statewide path to victory for a Republican must include some Democrats and many independents, while also holding onto the Republican base. It’s a tricky equation any year, but especially with a figure as polarizing as Trump involved. Doherty said Molinaro needed to be better-funded, and that again goes to party leadership and infrastructure. Molinaro is a great candidate with a good message, Doherty said, but he has not had the support needed to get his name and message out to voters, making his very long odds nearly non-existent. Cuomo’s State of the State junket comes as he’s feuding with state legislators and with the backdrop of a major corruption scandal in his administration, particularly his economic development programming. The second-term Democratic governor saw top aides, associates, and donors indicted last year on corruption charges including bribery and bid-rigging. Now, in a break with decades of tradition, instead of giving one speech to the Legislature in Albany, Cuomo decided to tour New York giving his assessment of the state of the state and outline proposals that will set the stage for upcoming negotiations with the state Senate, which is controlled by Republicans, and the Assembly, which is controlled by Democrats. It is not clear how much tension between Cuomo and state lawmakers over a failed pay raise commission and special legislative session led to his decision to take the State of the State on the road this year. 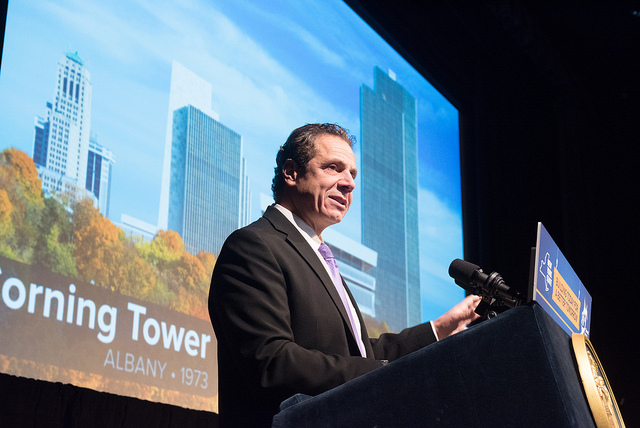 "By definition, these regional addresses are designed to communicate directly with the citizens of New York, not legislators,” said Rich Azzopardi, a Cuomo spokesperson. “Our goal has always been to bring the issues to the people, to develop the public support, and then have it communicated to the elected representatives." The governor is expected to tailor each speech to the region where he gives it, with some overarching themes and highlights that apply across the state. He’ll speak in New York City and Buffalo on Monday; Westchester and Long Island on Tuesday; and Syracuse and Albany on Wednesday. Cuomo is also due to release his Executive Budget by January 17. In past years, Cuomo has combined a State of the State address and budget outline into one speech. 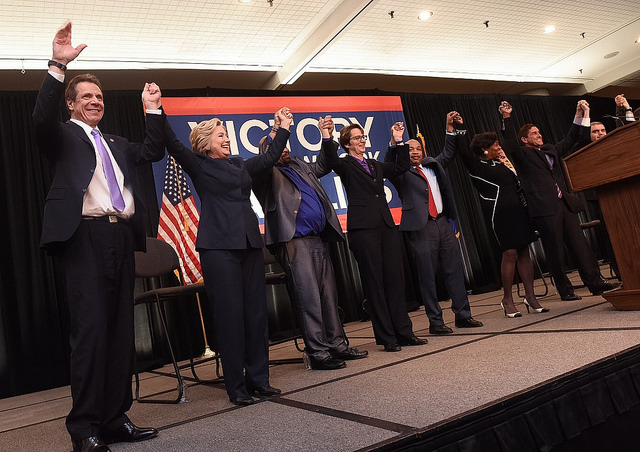 Cuomo’s ten proposals thus far include initiatives to enhance public college tuition assistance; a revamp of John F. Kennedy Airport; a child care tax credit for parents; efforts to guard against cyber attacks; “protecting seniors from financial exploitation and foreclosure”; “banning bad actors from the financial services industry”; enhancing wage theft enforcement; encouraging electric vehicle use; modernizing voting; and closing the Indian Point power plant. Reports started surfacing last week, first in The New York Times, that Cuomo had reached a deal to close the power plant in Westchester, which supplies a good deal of power to New York City. On Monday morning, the governor's office made it official in a press release just ahead of Cuomo's New York City speech. An eleventh plank, a plan for legalizing and regulating app-based ride-hailing services like Uber and Lyft, has not been officially announced by the governor, but was reported over the weekend by The USA Today Network. Legalizing such car services outside of New York City, where they already function legally, was debated last year in Albany, but no deal was struck. The USA Today report indicates Cuomo will detail his ride-hailing proposal in Buffalo on Monday. The governor is also expected to address several other issues, including government ethics. Cuomo attempted to convince state legislators to pass limits on their outside income and other reforms in exchange for a pay raise, but a deal fell apart last month as a special session was considered. It is not clear what Cuomo may propose on ethics, but in recent years he has expressed support for campaign finance reform, including a public-matching system and closure of the LLC loophole; term limits for legislators; and more. As Cuomo offers government ethics reform, some legislators and watchdogs want to know what he will support in terms of reforming the types of processes that may have encouraged and/or hidden the alleged corruption exposed last year by the office of U.S. Attorney Preet Bharara. There are calls for changes to contract procurement and budgeting, including restoring oversight powers stripped from the state Comptroller. Cuomo’s focus on economic development, especially in Buffalo, has been one of the most controversial aspects of his tenure. He has promised new economic development announcements this year, and is likely to outline regional specifics this week. Much of Cuomo’s attention -- and a lot of state money -- has been dedicated to infrastructure projects, such as a new Tappan Zee bridge, airport renovations, a new Penn Station, Long Island Railroad expansion, and more. Cuomo’s State of the State speeches are likely to have a heavy focus on infrastructure. As the governor continues to outline his proposals, conflict with state legislators looms large. In order to pass most of what he is proposing, Cuomo will need to compromise with legislators. The parties must agree on a fiscal year 2017-2018 budget by April 1. Budget agreements often include new policies. What does not get done through the budget often moves to negotiation during the rest of the legislative session, which runs until mid-June. 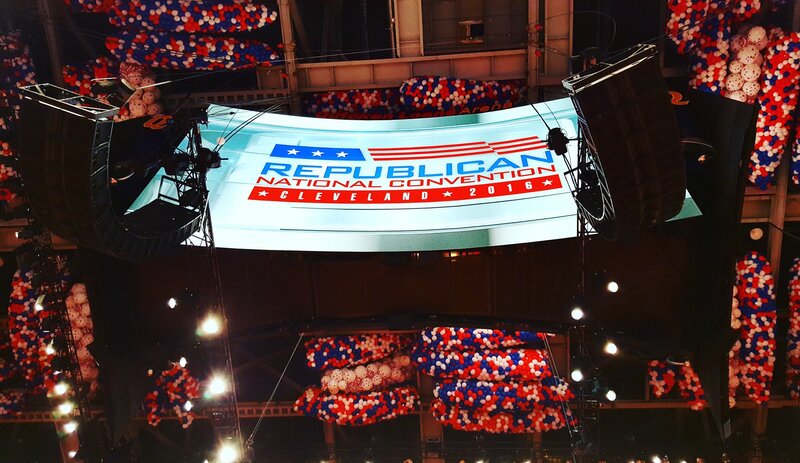 Along with corruption in his orbit and problems with state lawmakers, a third cloud hanging over Cuomo's speeches and budget is the impending administration of Donald Trump, with Republican control of both houses of Congress. It is unclear how much federal policies could affect New York, but Cuomo is likely to outline ways in which his administration will protect New Yorkers from threats out of D.C.
Several issues that have been at play over the last couple of years appear on the docket again this year, including ride-hailing, ethics and campaign finance reform, but also raising the age of adult criminal responsibility -- New York is one of just two states in the country that still treat 16- and 17-year-olds as adults in the criminal justice system. How lawyers for those who cannot afford them are funded will also be a focus -- Cuomo was criticized for vetoing a bill that would have had the state pick up expenses by localities for providing indigent criminal defense. Electoral reform may be taking on new urgency this year after 2016 showed significant problems with the ways New York approaches voting, including holding three different primaries and restrictive registration and voting rules. Over the weekend, Cuomo’s office announced several of the nine initial State of the State planks in a flurry of Sunday press releases. Cuomo’s call for voting reform, including instituting early voting and same-day voter registration, were hailed by many who have long-criticized New York for being far behind in access to the ballot, including Attorney General Eric Schneiderman. Calling the set of proposals "The Democracy Project," Cuomo said in a statement, “Voting is the cornerstone of our democracy. This past election shined a bright light on the deficiencies of New York's antiquated election laws and the artificial barriers they create that prevent and discourage voters from exercising this sacred right. These proposals will modernize and open up our election system, making it easier for more voters to participate in the process and helping to make a more fair, more just and more representative New York for all." Meanwhile, as Cuomo tours the state he will be met with opposition from state Republican Chair Ed Cox, who will hold press conferences outside the governor’s speeches. Cox, who regularly calls Cuomo a “political thug” on his Twitter account, said in a statement to Gotham Gazette that he wants to see the governor move to reform the state’s tax code to benefit the middle class and small businesses, including lowering taxes, regulatory reform, and a move away from the types of economic development contests that Cuomo has been fond of. “Unfortunately for the taxpayers of New York, the Governor has done a much better job at giving grand political speeches than he has in delivering on what's necessary to turn this state around,” said Cox. “We continue to have the most people fleeing a state, the highest taxes and the worst business climate in the nation, and this Governor has a laundry list of busted economic development projects and a corrupt administration. He can run from the legislators at the capital, but he can't hide from his failures." Cox’s fellow Republican, Senate Majority Leader Flanagan outlined similar priorities for the GOP in his introductory remarks this past week when the two houses of the Legislature met for the first time this year. Flanagan focused on jobs and the economic environment of the state. Flanagan was referring to Assembly Speaker Carl Heastie, who in his opening remarks called for renewing and expanding the state’s millionaire’s tax, which is on the verge of expiration. In his opening remarks, which help establish his chamber’s priorities and the agenda for negotiations with Flanagan and Cuomo, Heastie stressed the need to protect New Yorkers’ human rights and health insurance in the face of potential threats from the incoming Trump administration. He said New York must codify Roe v. Wade into law, a proposal that has been debated in Albany for several years. Heastie also discussed “strengthening our schools and making college more affordable and accessible.” He called for the Dream Act and praised Cuomo’s proposal to make public colleges tuition-free for lower and middle class students. Heastie also called for investments into transportation and water infrastructure, job training, affordable housing, fighting climate change, and more. Heastie is, of course, Mayor de Blasio's chief ally in Albany. De Blasio, who will be attending Cuomo's Monday morning speech in New York City, is cautiously awaiting Cuomo's proposals and budget. The ongoing feud between Cuomo and de Blasio continues to put the city at risk. Last year, Cuomo attempted hundreds of millions of dollars in CUNY and Medicaid cost shifts to New York City that Heastie helped beat back when the state budget was finalized. Asked about what he was looking for this year, de Blasio said he's taking a wait-and-see approach. "I don’t want speculate," the mayor told members of the media last week. "You know, the Governor will be coming out with a budget...That’s when we’ll get a first look at the numerical reality." De Blasio has said Cuomo's proposal for more public college tuition-relief is a great one, but he wants to see how it will be paid for. When Gotham Gazette asked the mayor if he was doing anything differently this year to avoid being surprised by Cuomo like he was last year, de Blasio smirked. "I appreciate the courtesy of your question," the mayor said. "That was not lack of communication with him and his team, that was a conscious decision not to give us the information until the last moment. So, we are communicating all the time – the two teams. We’ll see if there’s any surprises this year." Note: this article has been updated with additional details and comments.